Dimensions for the feature images are 354px x 240px. These display as background images with the text overlaid on screens wider than 768px. 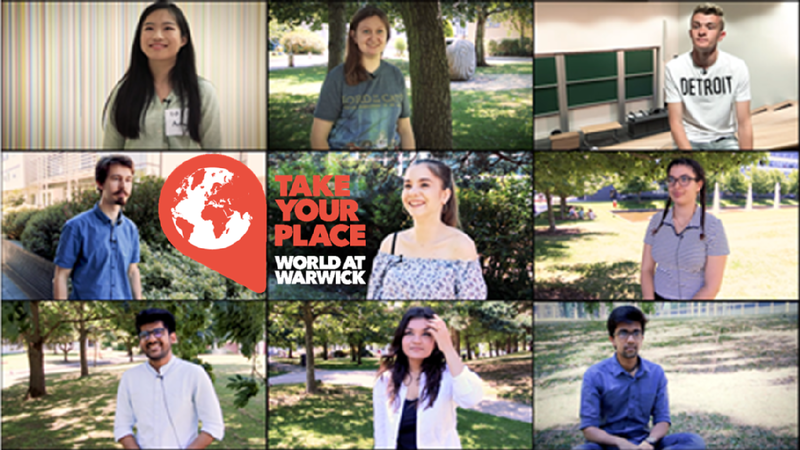 You don't need to cross a border to have international experiences at Warwick - we encourage you to experience the world on your doorstep. The intercultural training programme can help you along the way! We recognise that you may need a helping hand to find some information relevant to you. Our international students' page helps you find information to common queries; leaving you more time to explore across cultures at Warwick. The saying 'birds of a feather flock together' exists in a number of different languages - it is easy and natural to spend time with people from a similar background to you. But by making a conscious effort to open your mind and seek out experiences of difference, you may surprise even yourself with the benefits of expanding your cultural horizons. "At Warwick, our students are involved in a number of campaigns, initiatives and projects whose impact reaches around the world, making each of our students a global student."